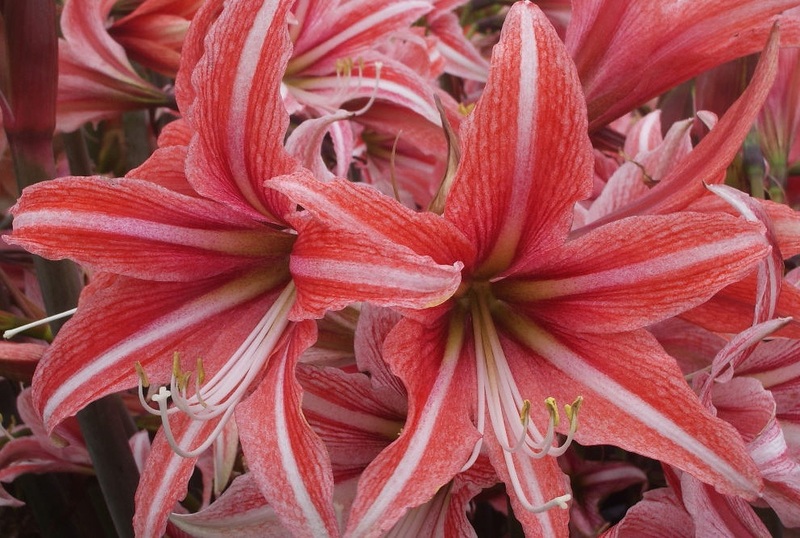 Whether you call them amaryllis or Hippeastrum, these exotic, long-stemmed beauties can color up a world turned drab by taking down the Christmas decorations. I suppose I could take credit for pre-empting the darkness, but that would be a lie. 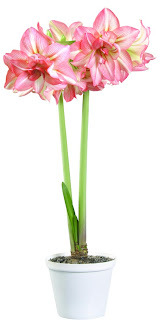 I ordered several amaryllis from Edens Blooms, run by a young couple in Thatcher, AZ. They have a great selection of Amaryllis, and I had a hard time choosing which of them to grow. Who could resist a flower with a name like 'Razzle Dazzle'? This Hadeco hybrid is just under 24" tall at this point, and is forming leaves from its base unlike 'Pavlova', planted at the same time (approximately Dec. 20), which has just a flower stalk. Hadeco began after WWII when two men from Holland settled in South Africa to grow flowers. Today, the company is one of the largest flower bulb growers in the world. Another Hadeco hybrid that I started just a couple of week ago is 'Zombie', listed as a fully double pink with white streaks. It's only about 4" tall now, planted in a 5" pot. Although I don't gravitate toward doubled flowers in any of the lily-formed blossoms (from daylilies to lilium), this one intrigued me. 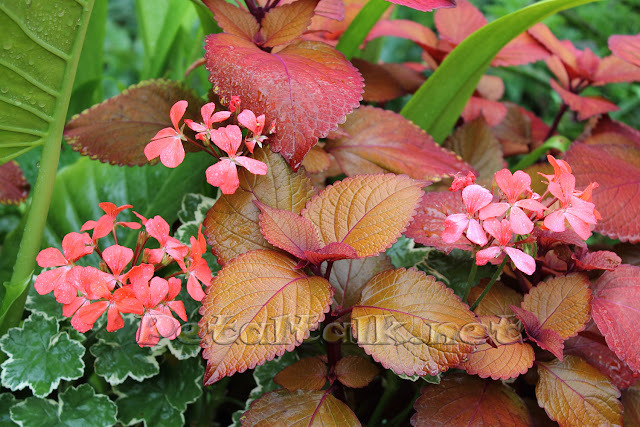 Of course, I had to include something equally exotic to the mix, so I ordered a Cybister called 'Sweet Lilian'. Cybisters, so far as I've been able to find, are fairly new on the amaryllis scene. ﻿﻿﻿ Along with bulbs of 'Apple Blossom' that have multiplied over the years, these bulbs are in various stages of development benefiting somewhat from a low-wattage heat mat. I'll keep you posted when they bloom.